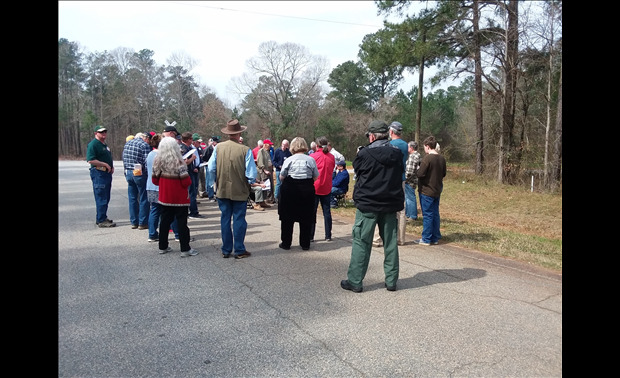 At the Newnan Cemetery. Photo by Carlton Mullis. 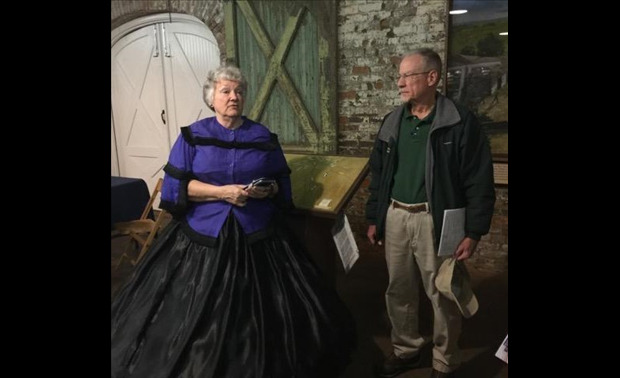 Friends of Brown's Mill Battlefield president Carolyn Turner greeted us in period garb at the Newnan Depot. Photo by Larry Peterson. 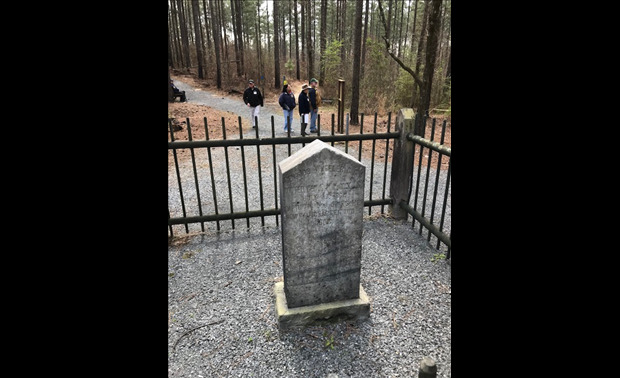 The Wheeler monument at Brown's Mill battlefield. Photo by David Hull. 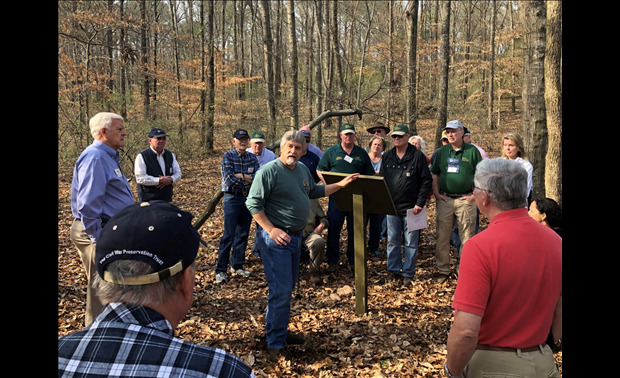 Explaining the many actions in July, August, and September 1864 at Lovejoy's Station. 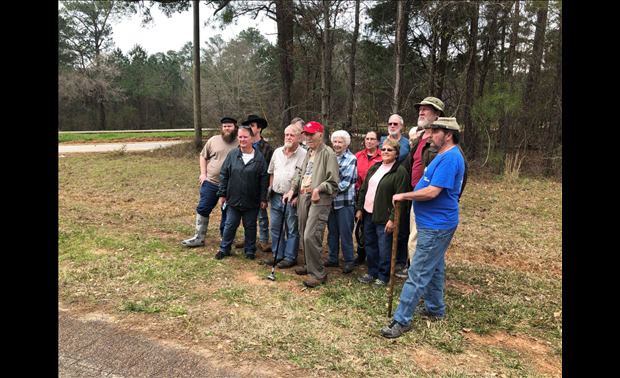 Photo by Carlton Mullis. At Nash Farm. Photo by Carlton Mullis. 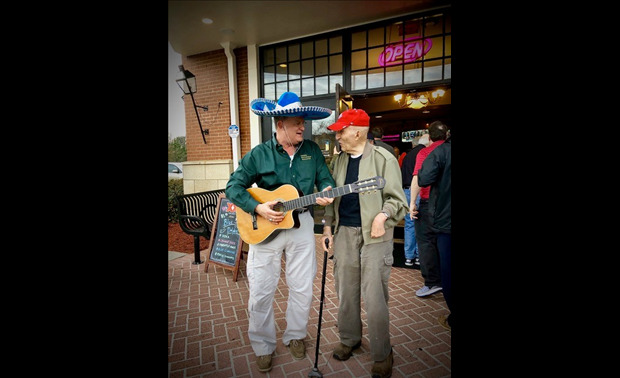 Joe Trahan serenades Ed as we enter the Mexican restaurant for Friday's dinner. Photo by Skip Johnson. 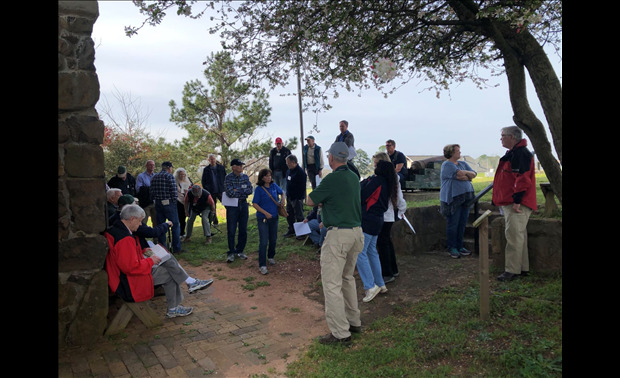 Judy Wall Smith (in blue shirt at left center) explains the history of the blockhouse at Fort Hawkins. Photo by Carlton Mullis. 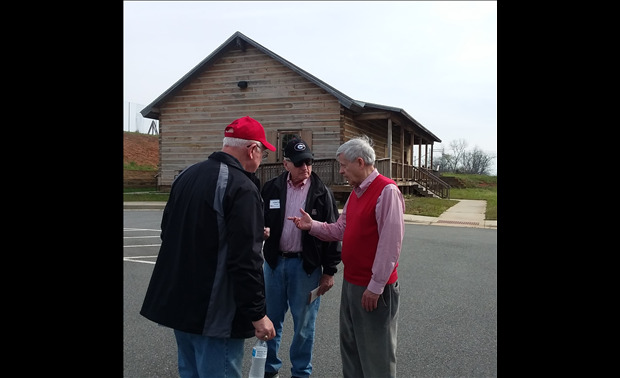 Jack Davis, Coach Dooley, and Dan Hanks at Fort Hawkins visitor's center. 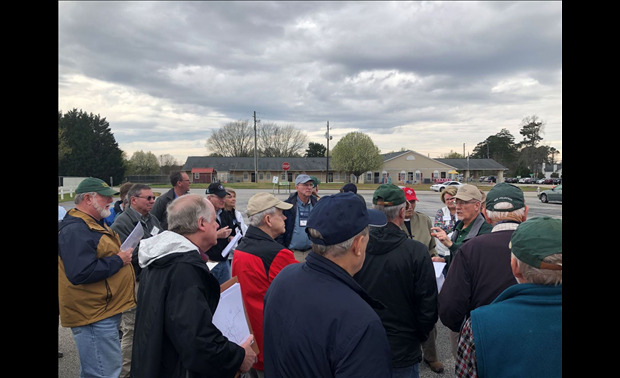 Ed Bearss (in red hat) explains the action at Sunshine Church. 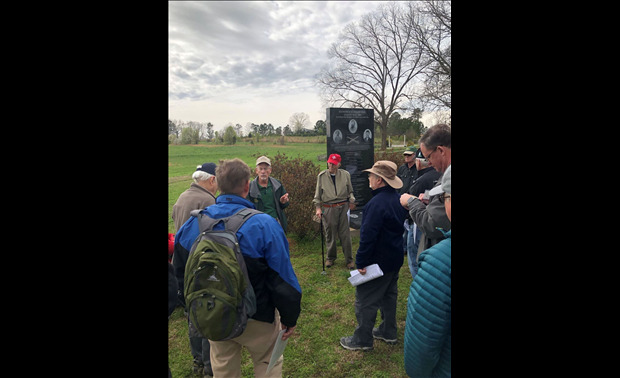 Ed Bearss with local historians and preservationists at the Sunshine Church battlefield. 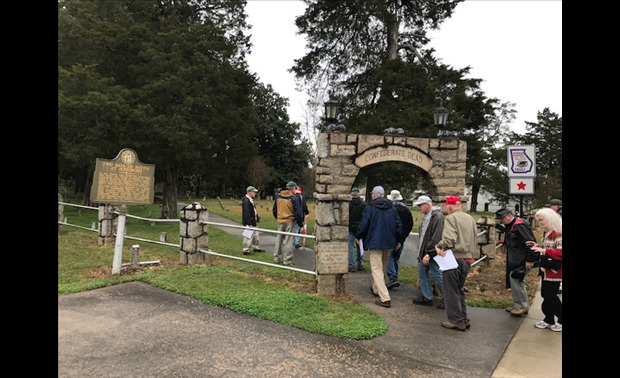 At the Confederate section of the Madison Cemetery. 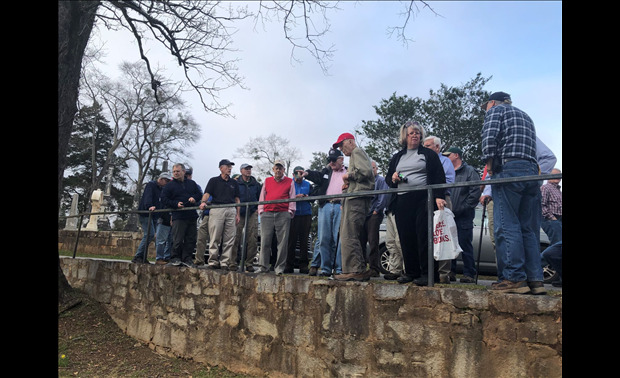 Don Parr explains the action at Barber's Creek. Photo by Carlton Mullis. 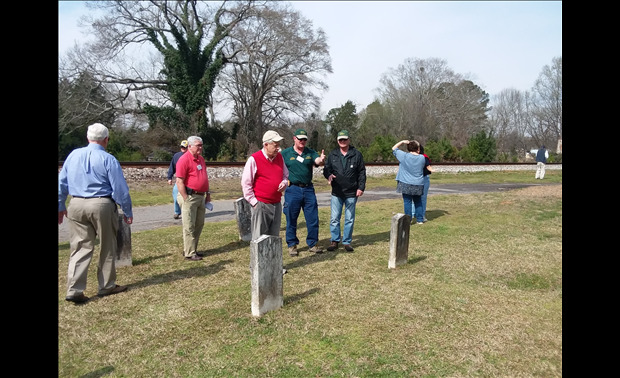 Coach Dooley points out Colonel Deloney's grave at Oconee Hill Cemetery. Photo by Carlton Mullis. 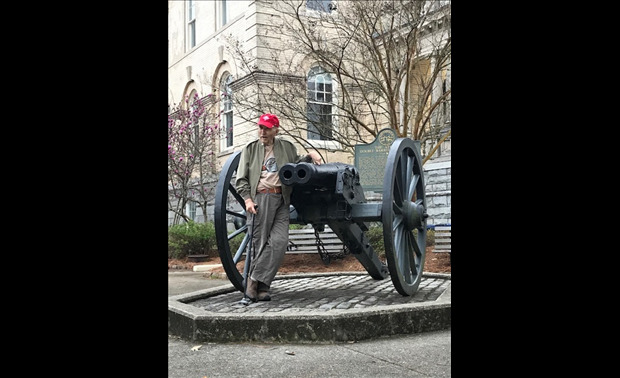 Ed Bearss at Athens double barreled cannon. Photo by David Hull. 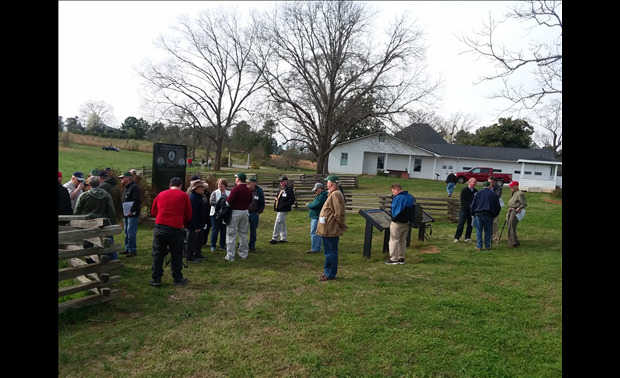 Charlie Crawford (8th from left) and Paul Whitlock (9th from right) have a spirited exchange about the Federal breakthrough at Jonesborough. Photo by Bill Porter. 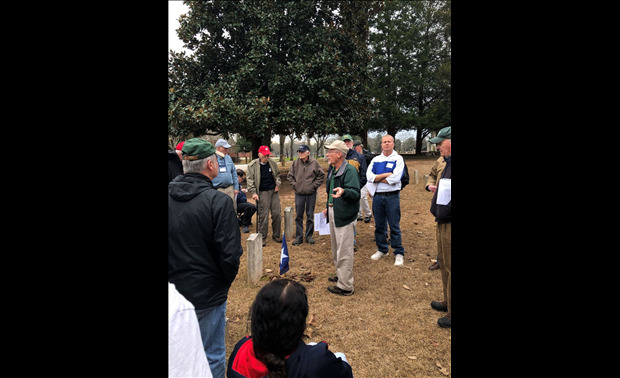 At the Cleburne Cemetery in Jonesboro. Photo by David Hull.